The very fact that the three of them meet to conduct business speaks volumes. They would not have to meet to discuss a remastered release of TSRTS. If all three got together it is very likely because Page has the finished masters of the show(s) he intends to release and needed to get Jones and especially Robert to sign off before he can green light it. Of course everyones dream would be a multi-tracked 77' but that is near impossible as I am not aware of any 77' show being multi-tracked as that was planned for the final gig of the tour, JFK Stadium. However, I always wondered if Pontiac was somehow multi-tracked. Oh to dream. The big clue is Page mentions multi-track recording so that limits the options considerably unless he multi-tracked a show no one is aware of. When was it initially revealed that the 72 shows were multitracked? Was that always common knowledge? I think it might be something from the 1977 shows. We already have 1973, 72', (HTWWW), 71' (BBC). 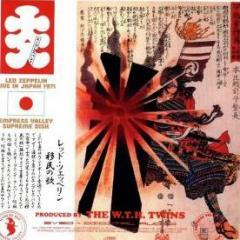 I listen to the Japan 1972 1971 shows. We already have those on Bootlegs.